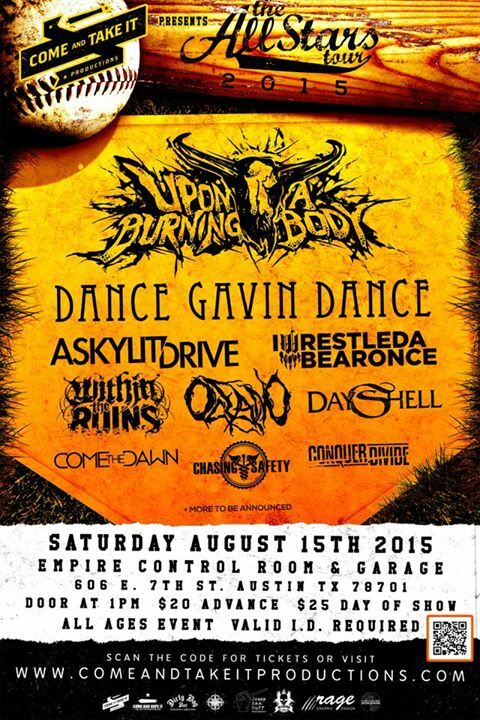 Austin.com ALL STARS TOUR 2015 featuring Upon A Burning Body and more! ALL STARS TOUR 2015 featuring Upon A Burning Body and more! Plus two winners from the Headbang For The Highway battles!